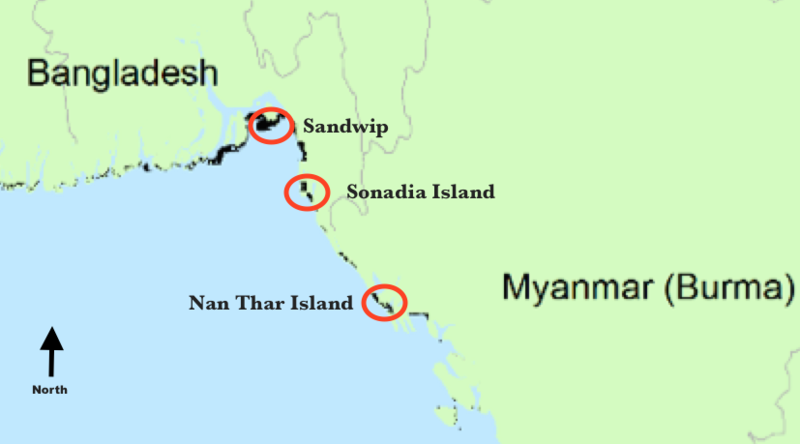 Sandwip Island and Sonadia Island in Bay of Bengal, Bangladesh; Nan Thar Island, in Rakhine state, Myanmar; and Leizhou, Guandong province, China. Reduce the impacts of hunting (netting and nooses) on the spoon-billed sandpiper to stop and reverse their dramatic population decline. 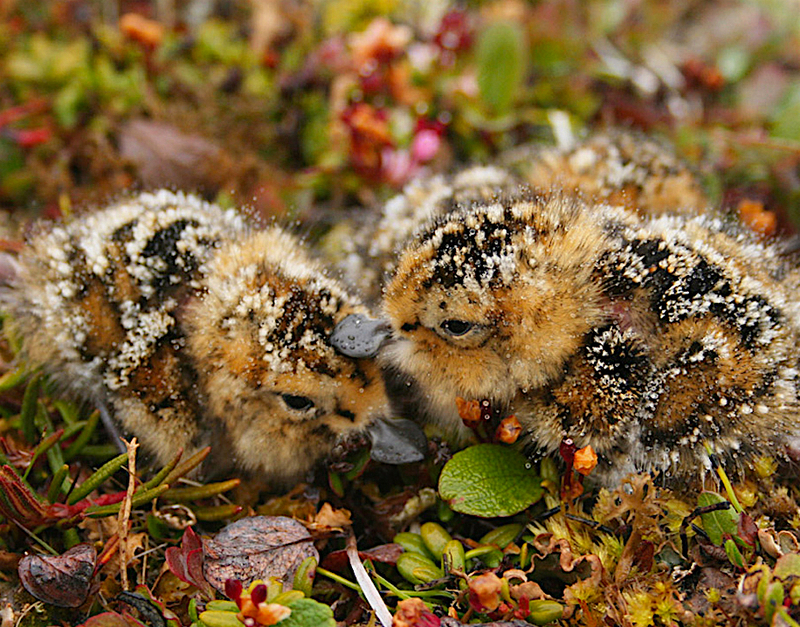 The Critically Endangered spoon-billed sandpiper, which breeds in Russia and winters in Southeast Asia, is one of the world's most threatened shorebirds, with about 200 breeding pairs. Conservation effforts underway, including this project, give hope for the species. Intertidal mudflats along the East Asian–Australasian Flyway support more than 50 million migratory birds each year, including 33 globally threatened species, hence efforts for this species provide broader benefits. At present, 80 percent of the known population of the Spoon-billed Sandpiper winters in Myanmar, Bangladesh and China. Throughout its migratory range invertebrate-rich tidal flats are being converted to industrial use and adult birds are being hunted for food. There are no known immediate threats on its breeding grounds, but sea level rise and other effects of climate change are likely to be an impact throughout its range. Many other shorebird species occupying these same habitats face the same threats and will also benefit from this project. supporting local non-governmental organizations to increase awareness of hunting’s impact on this endangered bird. Project field coordinator Sayam U. Chowdhury, Assitant Coordinator of the Spoon-billed Sandpiper Recovery Task Force, works with several partner organizations in Bangladesh, Myanmar, and China. 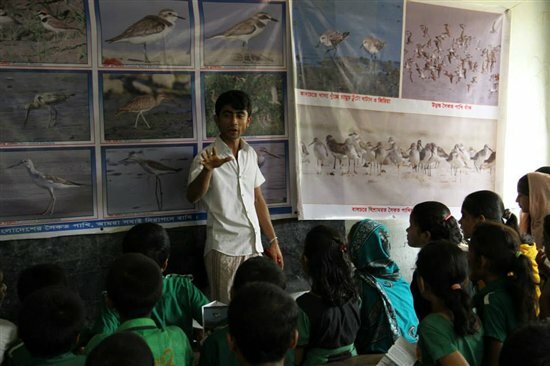 Project field coordinator Sayam Chowdhury works with two local partner organizations: the Spoon-billed Sandpiper Conservation Project (BSCP) in Bangladesh. the Biodiversity and Nature Conservation Association (BANCA) in Myanmar, and also with Vivian Fu of the Hong Kong Bird Watching Society in China. Village Conservation Groups are also key to this effort. Other supporters of this work are the Royal Society for the Protection of Birds (RSPB) and the Disney Wildlife Conservation Fund. Photo credit: Sayam U. Chowdhury, except where indicated. Children in 8 countries learn about the critically endangered Spoon-billed Sandpiper and help make an animated video about it.